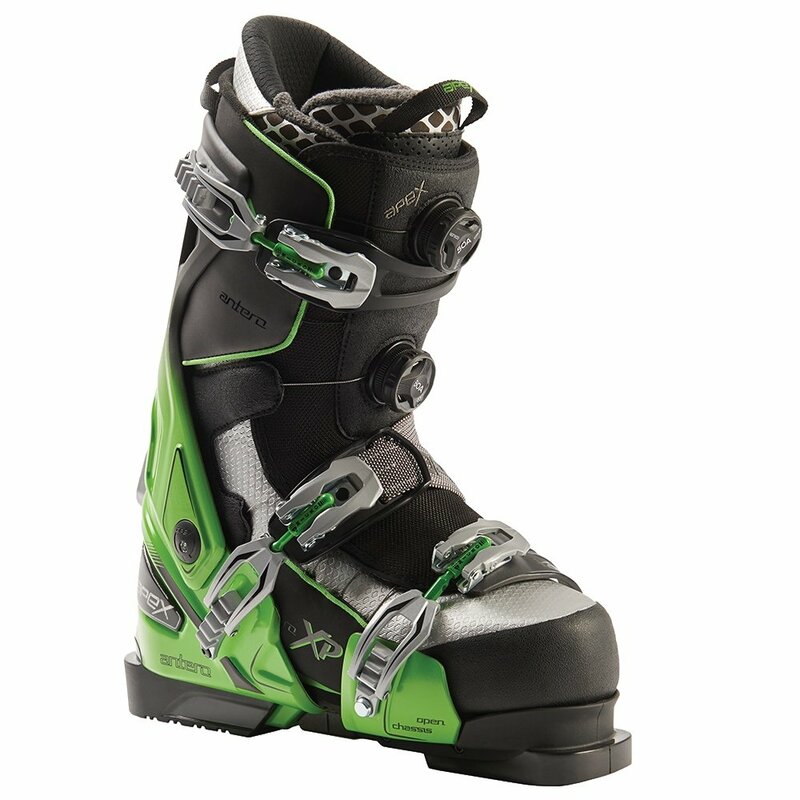 The Apex XP Antero Ski Boot isn't like any other boot you've tried before. That's because it steals a bit of technology from snowboarding, and improves it to make the perfect ski boot. You get the comfort and convenience of a walkable soft boot, complete with Thinsulate™ insulation and a grippy outsole, that makes après way more comfortable and going down stairs much less of a challenge. When it's time to ski, just strap into the Open-Chassis™. Featuring a completely customizable design, that lets you choose everything from forward lean to flex, the Open-Chassis™ secures your boot in place with a 3PS Strap System, and interfaces perfectly with standard ski bindings, giving you all the performance and support you need for a great day skiing. "I usually wear size 12. Is a 30 what I want to order? Can they be exchanged if the fit is off?" "Thank you for your inquiry. You can view our return/exchange policy here: Return Policy If you have any questions regarding this policy please let us know! "